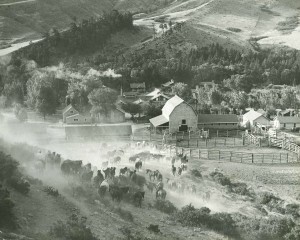 Come celebrate our 135th Anniversary with the Ranch family and friends! We are currently offering a discounted rate of $150 per person per night starting the 28th of August until the 3rd of September 2014. This rate includes all meals, lodging and horseback riding. We will be having a calcutta Friday night with the roping on Saturday afternoon. Saturday evening there will be a cookout and live music from the Craft Brother’s at Howard Hall. Sunday and Monday you can head to the Equestrian Center for Don King Day’s. You can enjoy watching polo, The Wyoming Steer Roping Championships and Bronc Riding on the grass with no fences! We hope to see you all for this fun filled Labor Day weekend! Dale &Jeff Milne love it there. Would live to visit. Love the ranch. Love mountain riding. Please send any specials you may have for singles. Experienced rider. At this time we only have our discounted rates over Labor Day weekend. 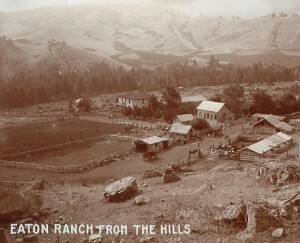 Would you like us to send you a brochure about the ranch?